This is my first ’empties’ post! This month I’ve been collecting all the natural beauty products I’ve used up and I finally squeezed the very last bits out of the products which stood there for too long! You will understand if you are like me – you buy a new replacement product when something is running out, but then when the new product arrives you kind of ‘forget’ to use up the old product. So this month, I decided to completely empty bottles/tubes which I ‘forgot’ about and I wanted to share my thoughts about these products with you. This is my favourite fluoride free toothpaste at the moment. It hasn’t been tested on animals and contains no animal products which makes it suitable for vegans. You also won’t find artificial flavourings, preservatives or whiteners in it. Instead, they use delicious natural ingredients like real fennel, lemons, aloe vera and tea tree. Kingfisher was the first natural toothpaste to receive the important approval of the British Dental Health Foundation. I tried many natural toothpastes in the past and some were quite expensive while others didn’t foam enough. This toothpaste is great as it foams well and it costs less than £3 (£2.59 exactly in Unicorn Grocery). Although I managed to find it even cheaper online (for £1.97 on Superfood Market). Although not 100% natural and with some questionable ingredients, this shampoo cleans the scalp really well, makes hair nice, soft and extremely manageable. I would prefer if there was less ingredients on the list, but let’s hope this changes in the future! I would recommend DGJ Organics as a great transition brand. Read my full review of this shampoo here. I bought this lotion in Holland & Barrett when they had an offer on all Dr. Organic products (buy one, get one half price). If it’s not on offer, it’s still very affordable at £7.39 for 200ml. This product contains no parabens, SLSs, artificial colours, fragrances or harsh preservatives. Dr. Organic brand is against animal testing and this lotion is suitable for vegetarians and vegans. Rose Otto Skin Lotion is light, easy to spread and it absorbs quickly. It works well when your skin needs just a bit of moisture and you would rather avoid greasy body butters. If your skin is quite dry this wouldn’t be hydrating enough and I would recommend body butters in that case. I’ve had this too long before I finally decided to use the last drops. I quite liked this toner as it slightly hydrated the skin while leaving it refreshed. The toner contains witch hazel which is great for soothing the skin especially if it’s irritated or prone to breakouts. It’s free from sulphates, ethoxylates, parabens, propylene glycol, artificial colours, etc. It’s also suitable for vegans. It does contain phenoxyethanol though, a preservative which some people have doubts about, but apart from that it’s a great toner especially if you have a combination skin with dry areas. This is my first facial oil I tried after reading about it in various magazines and online – everyone was talking about how great this oil is. Trilogy Rosehip Oil is suitable for different skin concerns such as dehydrated skin, ageing skin, scars and stretch marks. I used it on my face and I found it ok, but after I’ve tried Suti’s facial oils, I liked them more and would rather buy Suti’s oil again than this one. You should try Trilogy Rosehip Oil though and see if it works for you as it has some great online reviews. Just to remember to buy the smallest version as it’s very sensitive oil which goes off quickly if you are not careful about how you store it. This was my first eye oil I tried and I loved the fact that was 100% natural and blended with organic anti-ageing oils (argan nut oil and sea buckthorn). It was very affordable too, costing less than £10 if I remember right. The only thing I didn’t like was the pump which you had to use to get the product out, and it was almost impossible to get out only the oil you needed (only 2 drops needed). At the end I decided to use a dropper which worked much better for this purpose. I bought this eye oil on Etsy store alongside some other products from Aromawakening and would definitely recommend the brand. They have some great natural beauty products on offer, but currently it looks like the company is taking a break and the shop is re-opening at the beginning of March. Unfortunately I cannot find Aromawakening’s eye rejuvenating oil online anymore – it seems it’s been discontinued. I got this 7ml Weleda’s sample at the vegan festival and I was using it on areas of concerns which is mostly my forehead and over time I saw an improvement in my skin’s appearance. It definitely softened barely visible fine lines which started to appear. The idea is to use this serum before you apply your normal moisturiser. Pomegranate Firming Serum is all natural, containing no synthetic preservatives, synthetic fragrances, synthetic chemicals or anything else synthetic. It’s suitable for vegans of course. I do love Weleda’s products as they never disappointed me in the past and I would definitely recommend this serum if you are concern about fine lines on your face. If you want to buy a full version of this product, it costs £34.95 on Weleda’s website, however I found a better deal on Amazon. Another Dr. Organic’s product. It was my favourite toner for a long time but then I tried Botanicals’ Mandarin & Chamomile Hydrating Mist and quickly changed my mind! Well, Rose Otto Skin Toner is still good affordable more natural toner suitable for vegetarians and vegans and it purifies, balances and hydrates the skin well. This is one of my favourite deodorants from Dr. Organic range and I would probably consider buying it again if I can’t get my hands on Lavera’s Lime deodorant which I like more due to the scent. Like the rest of Dr. Organic’s products, it’s very affordable and suitable for vegetarians and vegans. Have you tried any of these products and what do you think of them? It’s definitely a good toothpaste and worth trying. If you don’t want to buy it online you could always try your local natural health and beauty store and see whether they stock it. I also thought Dr Organic’s Pomegranate deodorant had a great scent when I bought it for the first time but then I smelled Lavera’s lime deodorant and I loved it more. They are both good deodorants though. Thanks for checking my post out Evelyn! Hi, I love to try organic (natural) products. You doing really well. When I tried rosehip oil it’s make my skin dry. ( organic rosehip). When I used that using another moisturiser on top of that.I will try that toothe paste & holland & Barrett products I love to try natural products. Thanks for your post!!!! 1.Do you know is there anything quickly removing strech mark oil or cream??? 3. I’m a fair girl, I want to be brighter face , do you know is there anything for skin whitening ( naturally) using laming oil, and that’s makes my skin dry. Thank you for your article , hope you might got answers for my questions. This is my long time question if you know it pls let me know. 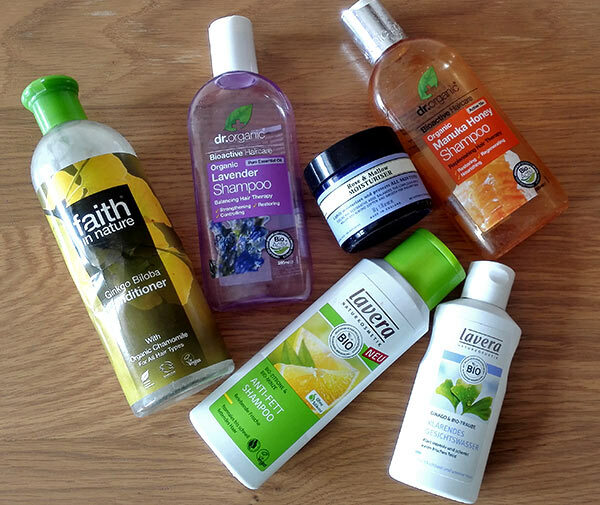 Great to hear you are into organic and natural products and I am glad you liked the post! I also felt rosehip oil didn’t really hydrate my skin, therefore I preferred Suti’s oils which are much more hydrating. Not sure about black marks on your face and what it could help. For skin brightening, I’ve heard lemon could do the trick. I hope that helps! 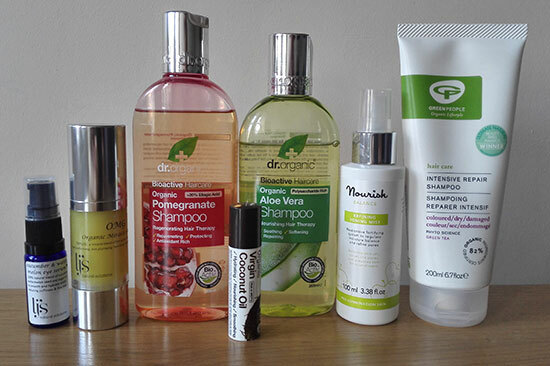 Dr Organic definitely have some great products in Rose Otto range. I am currently running out of Lavera’s deodorant actually and may buy their pomegranate deodorant again, just need to check if it’s on offer. 🙂 Thanks for stopping by Sandra!